This is a bitter truth that although you create a backup of the excel files ironically they are not immune to corruption. They can get corrupted and become inaccessible. It can be due to the virus attacks or due to the forceful closure of the file. It is a drastic situation for the user when the Excel 2013 File is corrupted and cannot be opened. Excel Files are used for making monthly reports, creating charts, pivot tables, organizing data and even to present figures. Everyone knows the importance of excel files these days. It is commonly used by small and large organizations as it provides many salient features to them. Excel Files are also used for calculating the monthly expenses. There are ‘n’ numbers of formulas into it so we can apply them according to our needs. We can see the importance of excel files that it provides us with many convenient specifications. But the problem arises when the Excel files become corrupted. Sometimes it happens that due to corruption the Excel 2013 files are unable to open. This can lead to the loss of some precious data which is present in that corrupted excel file. How to Repair Corrupted Excel Files? This is a question for concern to the user who has actually lost his data in the excel file due to corruption. You will find many methods through which you can easily repair and recover corrupted excel files. But there is no surety whether these methods will work completely or not. Here in this article, I am going to tell you some easy solutions which you can apply by yourselves in order to recover the Corrupted Excel Workbook. Step 1- Click on “Open” under File Menu. Step 2- Locate your Corrupted file and Select. Step 6- If it is unable to repair then extract the data from corrupted excel file by clicking on “Extract” option as shown in the figure. 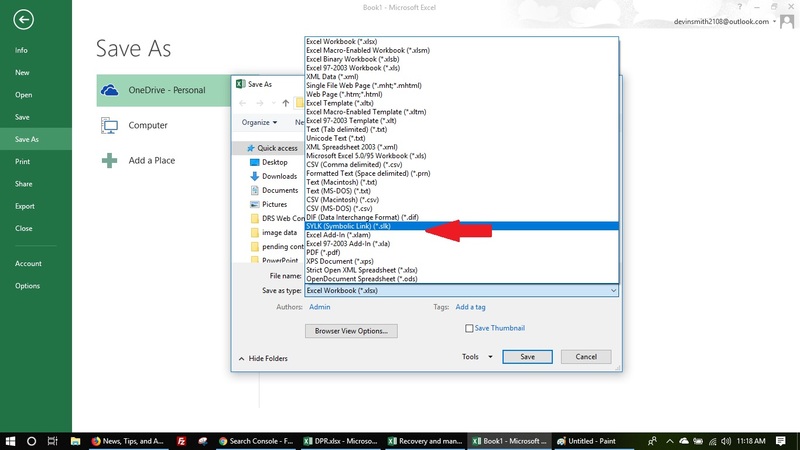 This is how you can manually repair the corrupted excel files. Step 1- Open “Option” under file Tab. Step 2- Go to the “Formula” Tab. Step 3- Select “Manual” option and click “OK”. Sometimes it happens that Excel opens a corrupted workbook if it doesn’t have to recalculate. 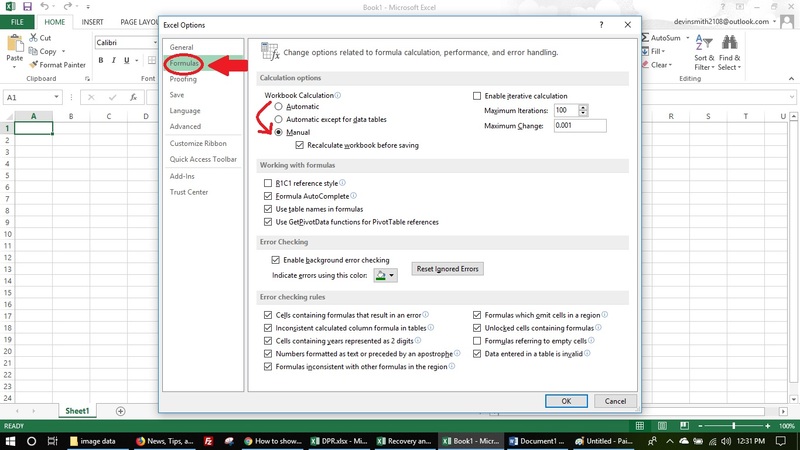 If your Excel file is corrupted then you can extract data from it and open it with “Open Office”. It is the best alternative to MS office. 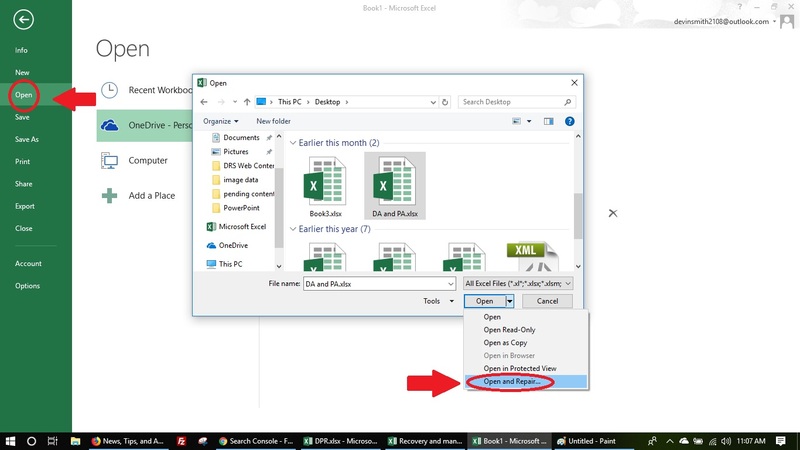 You will be able to view files on Open Office Excel Counterpart. You can easily download the suite and view data. 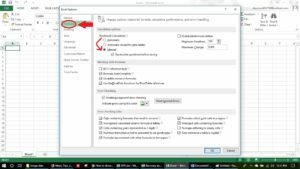 After applying the above steps just change the file format by renaming it from .slk to .xls and the title should be the same as it was before. So this technique can recover the majority of the corrupted data but not the complete data. 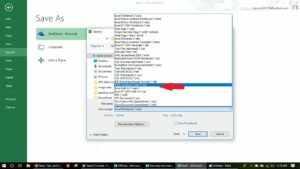 If still the Excel 2013 File is Corrupted and Cannot be Opened then I would recommend a third party tool which will definitely get back your data. The tool is genuine and authentic to use and it easily operable without any third party advice. This is a professional recovery tool which can deal with the Corrupted Excel Files in any format. It supports .xls format and as well as the .xlsx format that is also known as the extension of excel files. This recovery tool can retrieve all the precious data and restore it in an accessible format. It scans the file and removes all the unwanted content from it. After doing so it makes the Excel 2013 files operable.